Happy Easter Everyone, I'm a little late with this post, it's been a very busy month. This particular 3D printing adventure started last August (2011) after seeing a few news reports on 3D Chocolate printing, it had always been on my list of things to try, after reading the reports and looking at the rather over marketed video of a machine doing essentially nothing... I was really frustrated that the technology didn't seem that accessible or even that revolutionary considering they described it as the "worlds first Chocolate printer"
It looked like the University of Exeter had decided not to show any videos of the printer actually doing anything to do with the printing process. - See the PR page and video Here. It does make a reasonable point about the end user specifying the custom design for themselves, much as we already see with 3D printing. So they were giving no clues to how fast they had it running, or how long they cooled between layers etc. Just what you can see in the pictures. 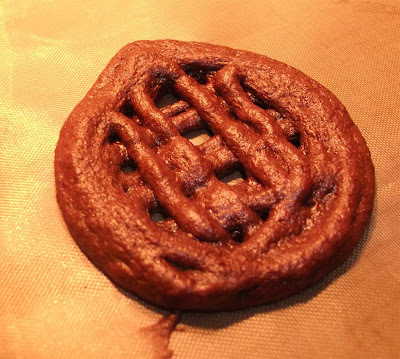 I decided not to go down that route of molten chambers of chocolate being pumped to a nozzle, it seemed overly complicated and limiting of what foods you could print with. 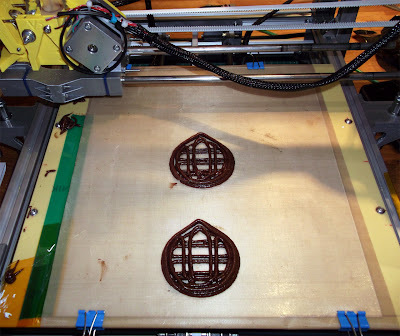 It could be fine for industrial scale custom manufacture or a more adventurous Chocolate shop, but not that great for people with 3D printers to experiment with - and that was my angle. Various paste extruders existed for RepRap, Makerbot and Fab@Home and both peristaltic pumps and moineau pumps were being experimented for paste extrusions, I looked at some of these, but went a different route. 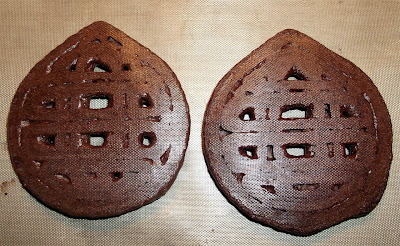 I was quite aware that paste printing and especially Real molten Chocolate was a very difficult material to print with and I also didn't want to have to use a Air compressor or other types of valves to achieve my food printing. I decided on two development paths, both of which I'm still working on for different reasons you will see below. Chocolate was not the only Goal, I really wanted to be able to experiment with lots of pastes, foods and especially Ceramic materials. It uses my Quick-Fit X carriage mounting, so can be swapped over in seconds, you can also fit it to a normal Greg/Prusa style X carriage and most other designs. 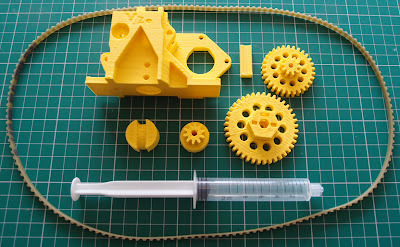 It's geared and uses a driven belt to press down on the Syringe. The main reason for this arrangement is to keep the height to a minimum and as the carriage goes higher the syringe goes lower so you get maximum build height. Slightly out of data photo, but here are all the printed parts. 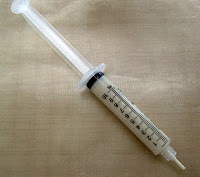 It uses normal 10ml Syringes - Either Luer lock or centre depending on what nozzle size you want. The motor is a normal NEMA17 type and small drive gear. 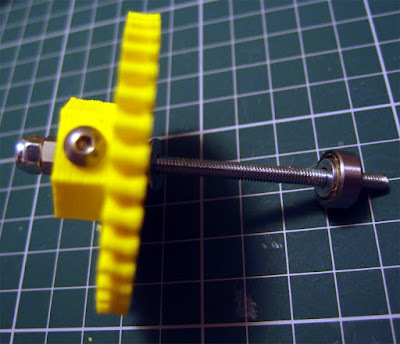 The Large gear is secured by using a modified M4 PCB stand-off to lock to the M4 threaded bar. You can also fix it with an M4 Wingnut. 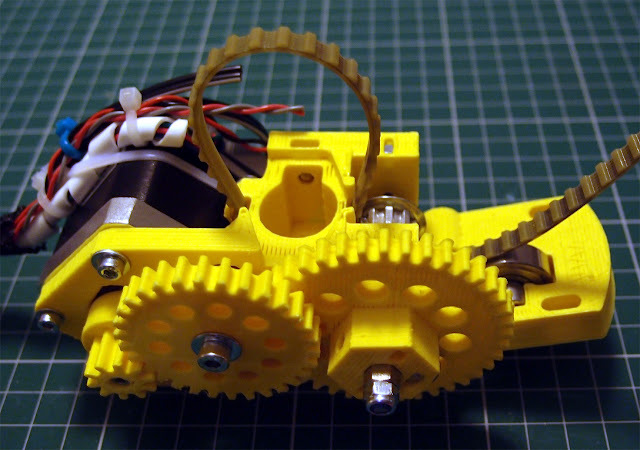 A standard 16tooth T5 metal gear is used to drive the belt. Trapped M3 nuts for the idler, 608 bearing. Middle gear, fit this last. 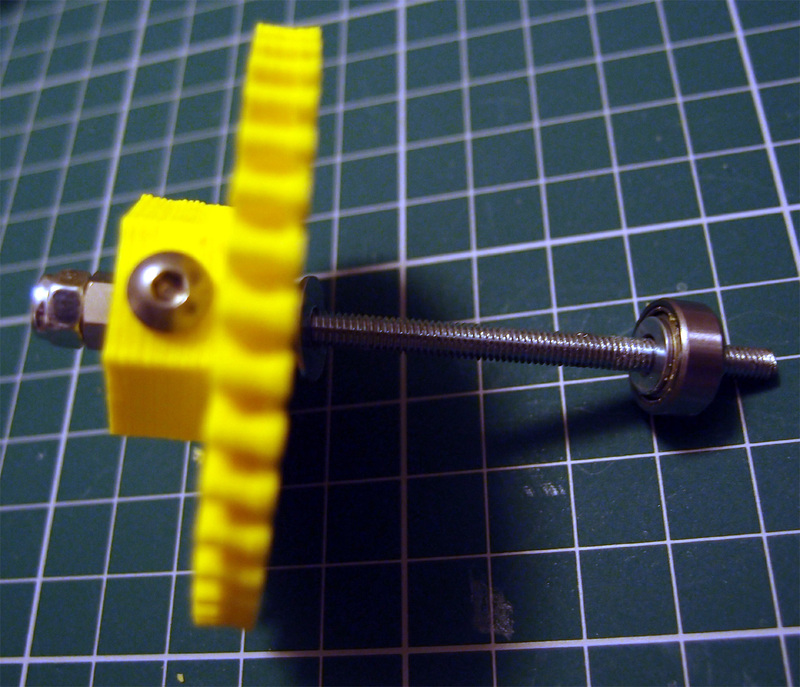 The middle gear M4 shaft also clamps the end of the T5 belt in one of it's groves, it will be a tight fit. The other end of the belt gets fed under the metal gear and is compressed by the idler bearing. 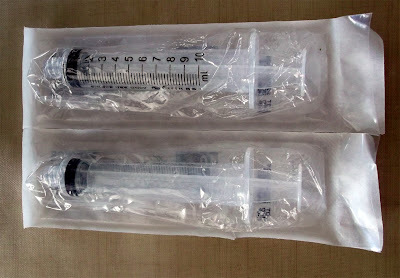 The Syringe is supported well around the flange, and is deliberately loose, you can fit a strip of card, plastic, PTFE or some other material if needed, the M4 bolt and pressure block can also be used if you want to clamp in the Syringe, but it does not really need it. Insert a loaded syringe, fit the Cap with bearing and extrude until tight. At this point you need to have a sensible figure in your firmware for the Estep value, you can calibrate steps per mm in the same way as you would with a plastic extruder, see here for help on that. It's also possible to leave it the same value as your normal extruder and then just alter the packing density / extrusion multiplier in your slicer. I'm using Slic3r V0.7 and using 570 for the Esteps (8x microsteps) or 1140 for 16x Microsteps. Below are my initial efforts over one weekend with as many materials I had on hand, the kids really enjoyed helping me with this experiment. 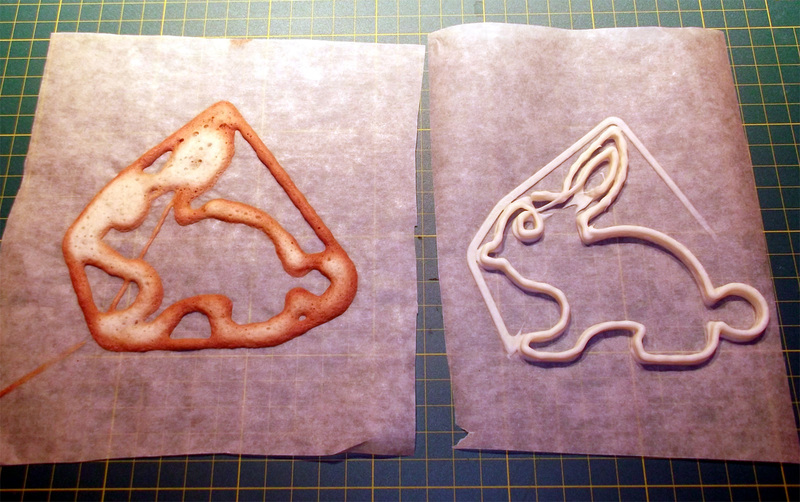 I'm hooked on Ceramic printing now, so I'll be doing a lot more of that along with more chocolate experiments. 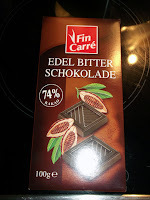 Some of the chocolate things didn't exist long enough for a photo. 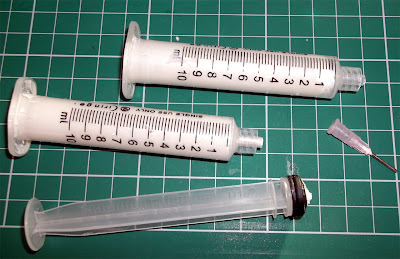 I highly recommend using a centre syringe with a big nozzle for first testing and also using a sugar paste as the first material to experiment with. 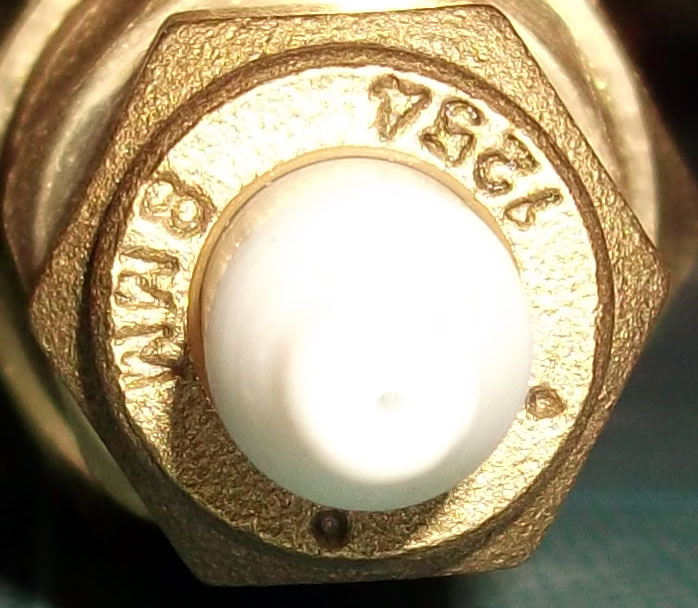 This nozzle is 2.4mm. 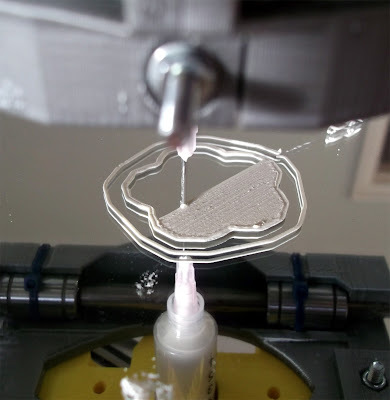 I'm printing on mirror-glass (Not heated) but you could warm it up to help things dry out (Apart from Ceramic, don't use any heat at all, any time printing with Ceramic before or after printing. This was my first print result, not bad, not good, too fast and the paste was a little runny, you are looking for about the consistency of cream cheese or Nutella (chocolate spread). Second print , slower, need to adjust the fill and maybe use lift. I did quite a bit of Sugar printing, but as it's slow to dry most of them were wiped off and put back into the Syringe, so it's the ideal first paste material to experiment with in that respect. 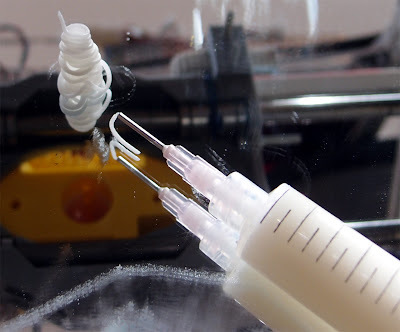 If you use the other type of Syringe (Luer lock) you can fit removable needles of different sizes (Blunt or cut-down) to give very fine printing, this picture above is sugar paste with a 0.6mm needle (pink). I used Pink and Blue and snipped the needle with cutters and then filed down and sanded the end until it was nice and round, see in the above photo how much I cut it down from the normal length, you could go even shorter and would need too for the really smaller sized needles. 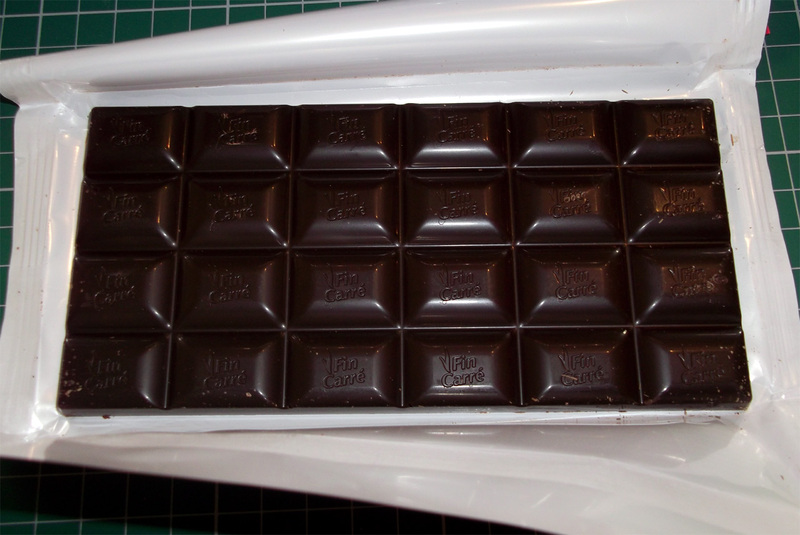 Chocolate is a tricky material, quality dark Chocolate is harder to print with than white Chocolate, I didn't try milk Chocolate yet. The easiest way to melt it is in a Microwave for 30 seconds, then stir it and let it melt, don't heat again unless it won't all melt after many minutes. Mix it all really well and check the temperature, don't go over 35 degrees C.
White Chocolate is usually a thicker consistency at these temperatures, making it slightly easier to print with. 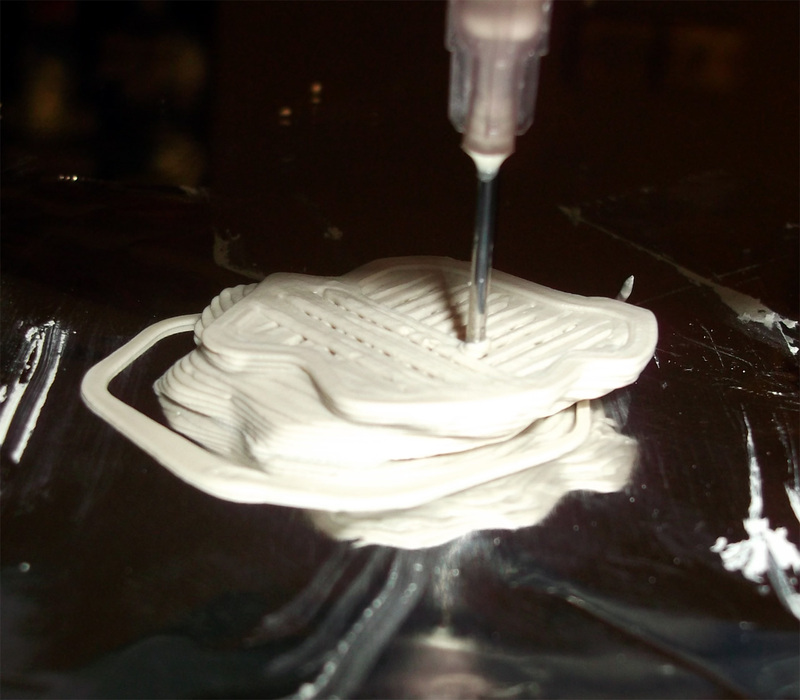 You should have plenty of printing time ~ 15+ minutes and you can always put the loaded syringe in a cup of warm water to keep it at a stable temperature. 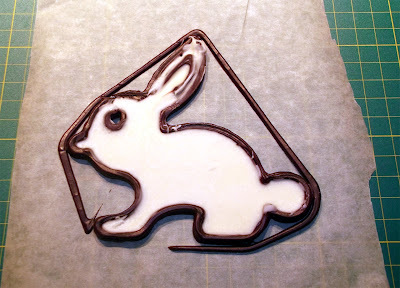 Dark chocolate outline, with a poured white chocolate inside. 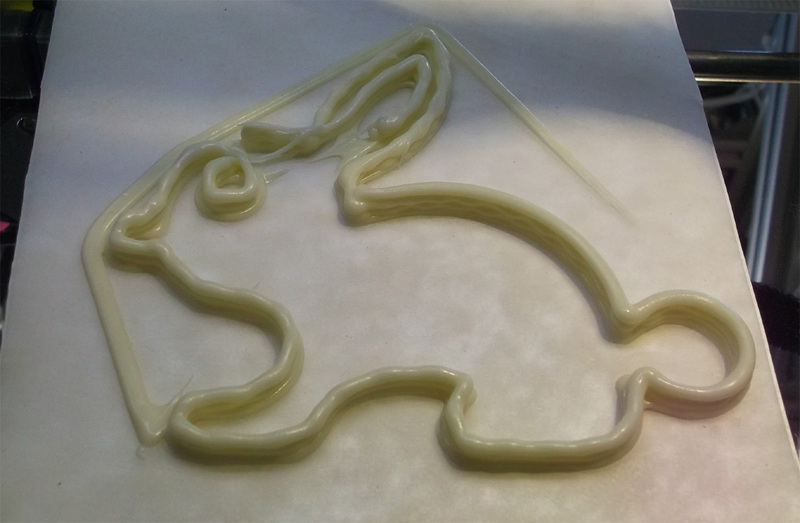 White Chocolate - printed a little too cool in this picture. 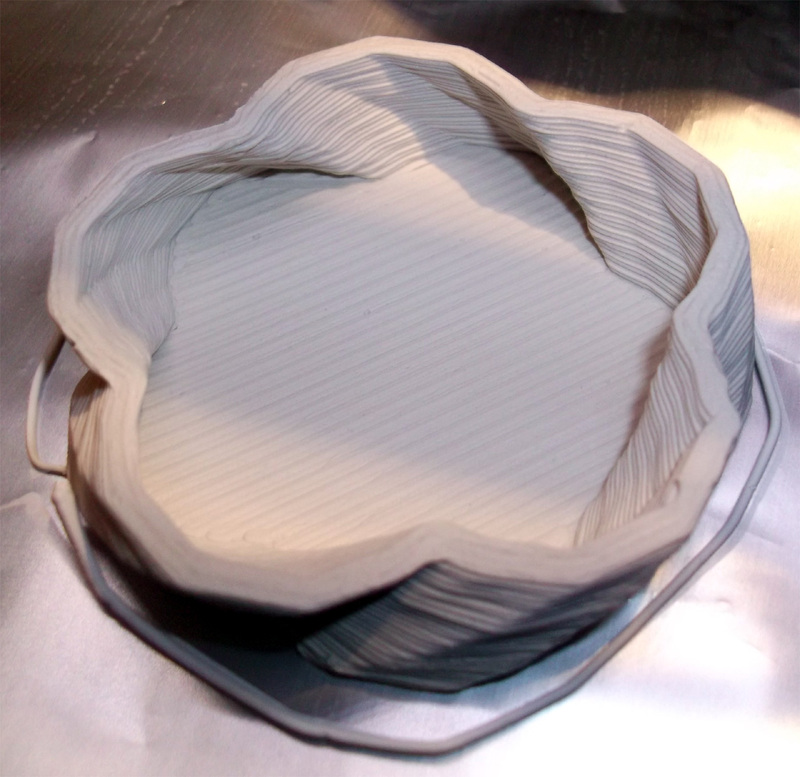 Chocolate printing would benefit from a cold-bed to help freeze the layers quickly, so a future idea will be to use some Thermoelectric cooler (peltier) modules and Aluminium plate for the chocolate bed. 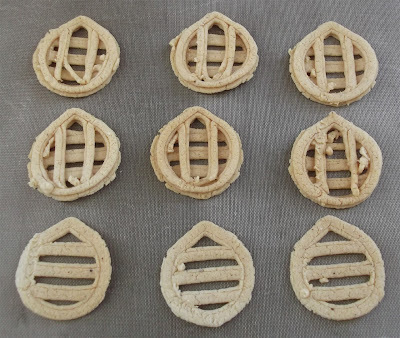 Masa Harina flour is finely ground dried corn, used in lots of Mexican dishes. 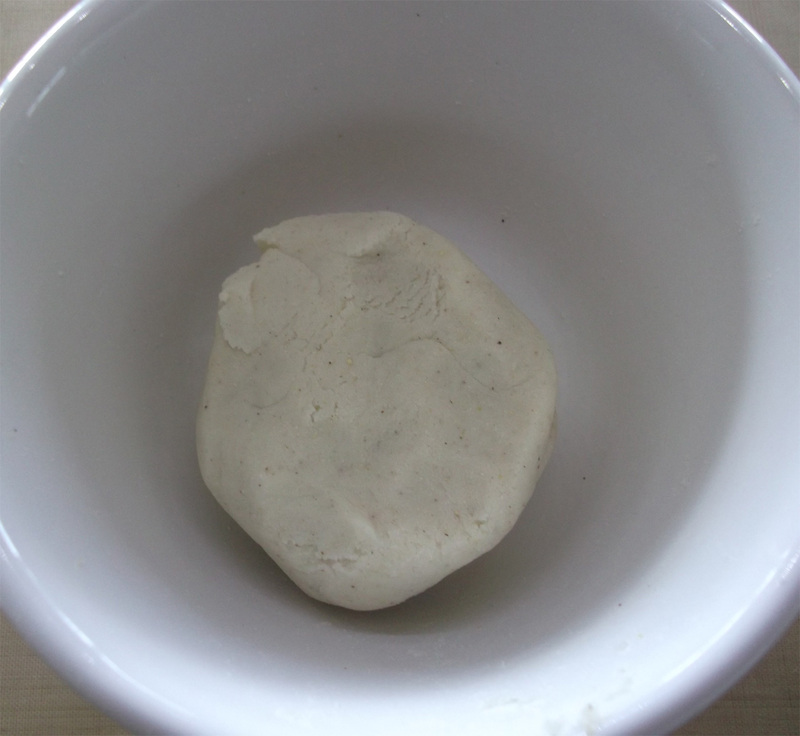 Follow the instructions, mix with water, you are looking for a play-doh type consistency. It's a perfect 3D printing material as the dough is not sticky and extrudes very well indeed. 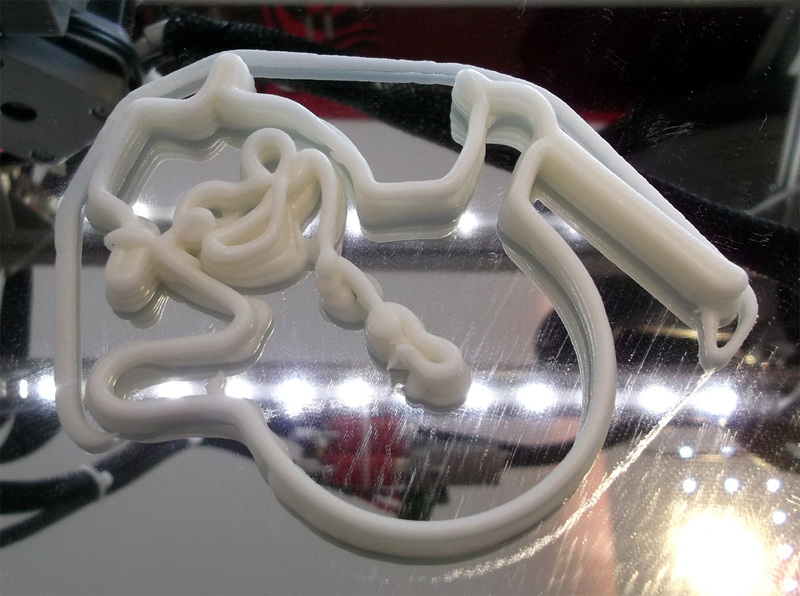 I decided to design the RepRap Crisp shown above to test this material. I think a touch more water in the mix would have helped. 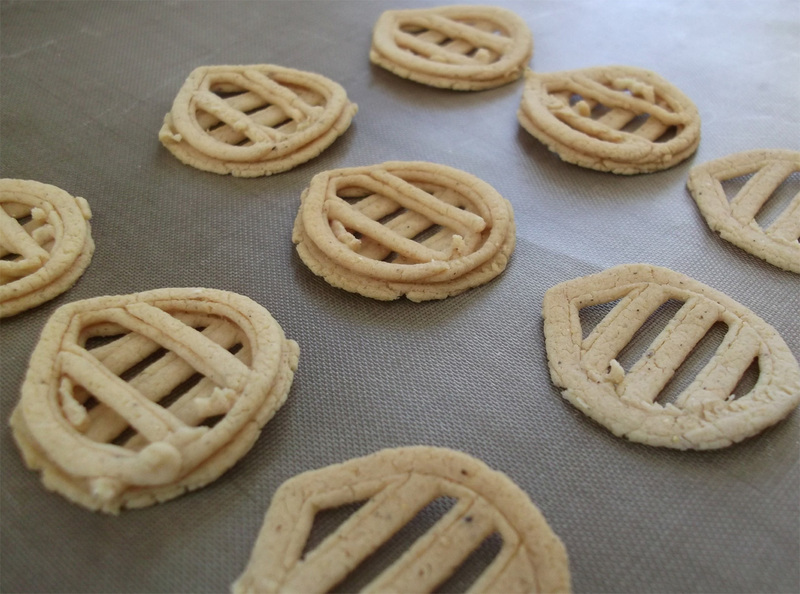 I'm printing on a Silicon baking sheet (so I can pop them straight in the oven). 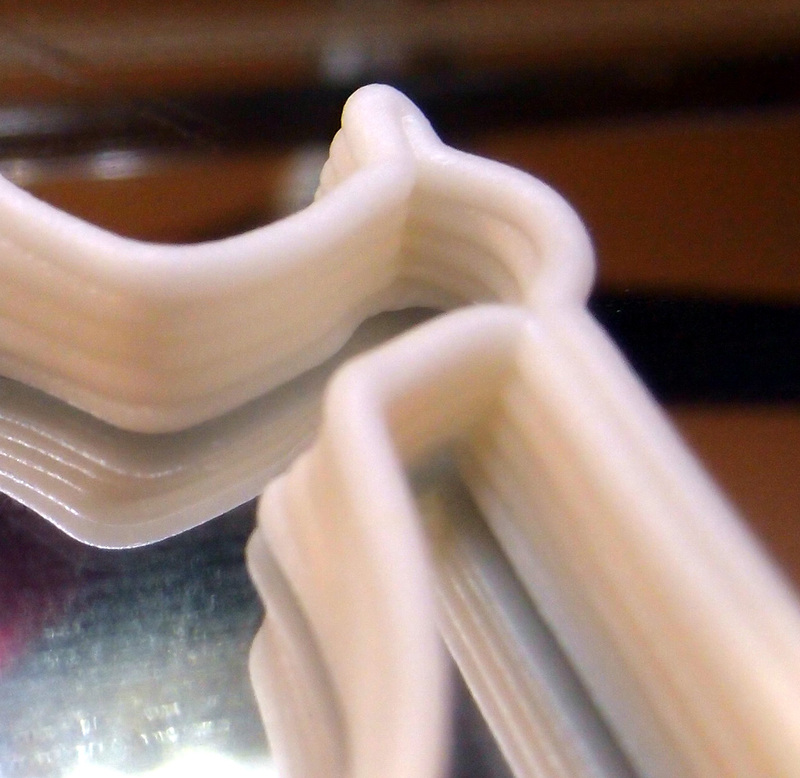 They printed a little too fast, you need some time for the layers to stick before moving, but not bad. 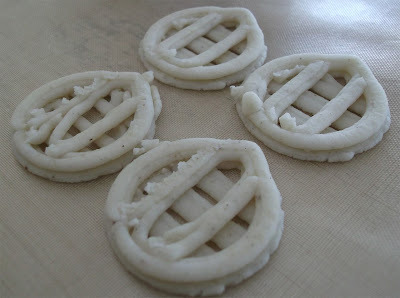 And yes, they tasted really good! You can hear me crunching them on the video. Well I did say it was what I had around the house, this was a little bonkers, but good fun. Muffin Mix, worked quite well. 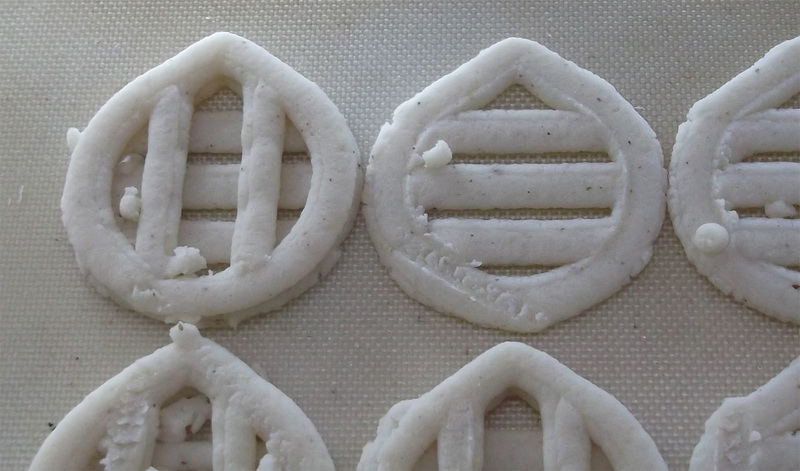 I'm thinking Cookie dough would be the ultimate 3D printing Food material, I'll have to try that soon. I'm using porcelain clay for this experiment, slightly watered down to form the consistency of toothpaste. And I'm thinking that it needs to be slightly thicker next time around. 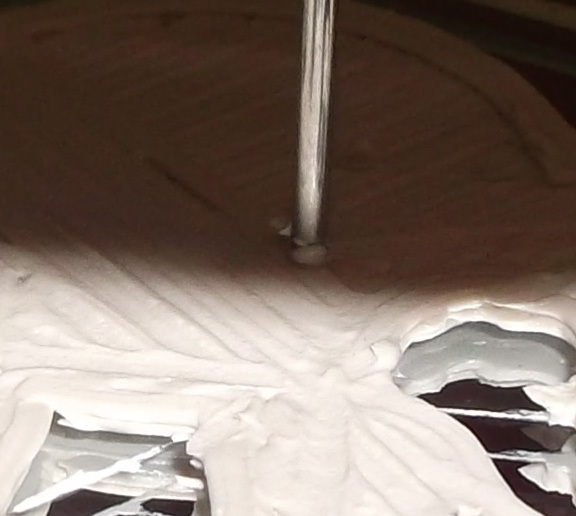 Clay sticks to most things, but unless you can remove it, your part will be stuck to your print table. 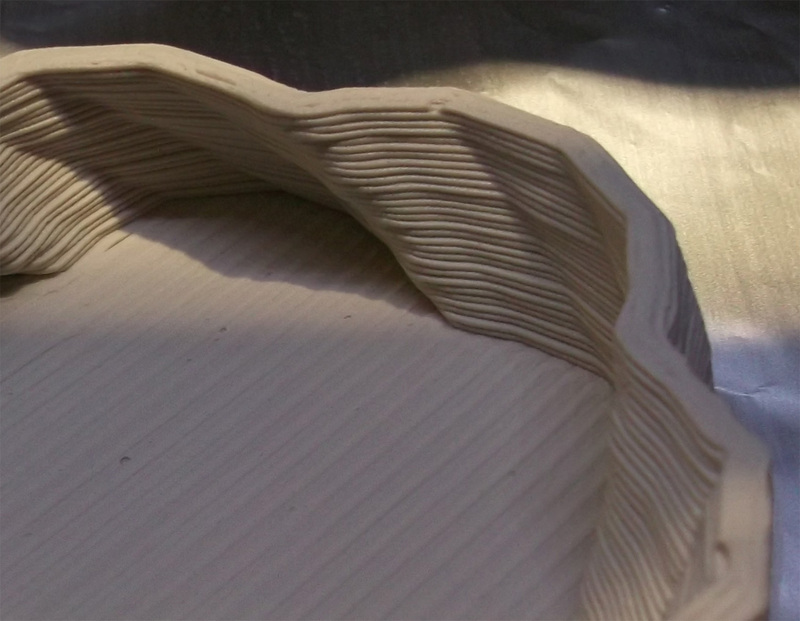 If you leave a printed ceramic object on the bed it will warp as it dries and usually break up. 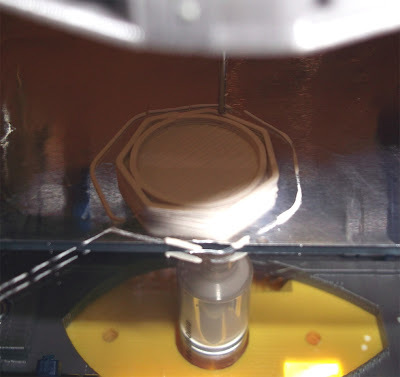 Do NOT be tempted to use the heated bed to dry the clay, it will ruin the print. 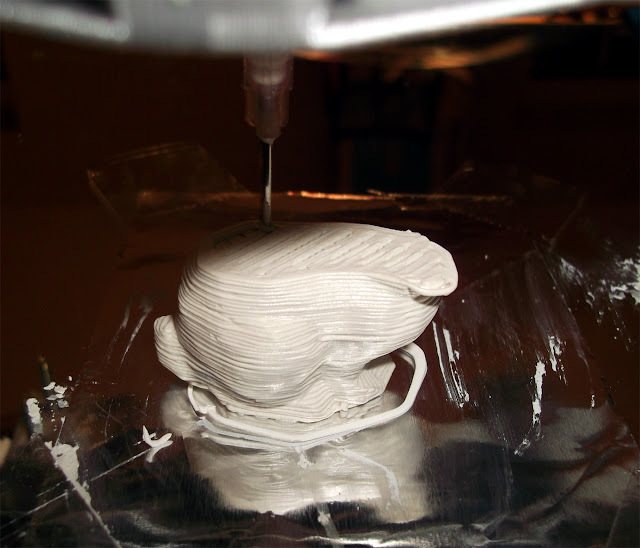 The best way I found to print clay objects is on a piece of aluminium foil taped down, this can be removed and the part dries slowly. 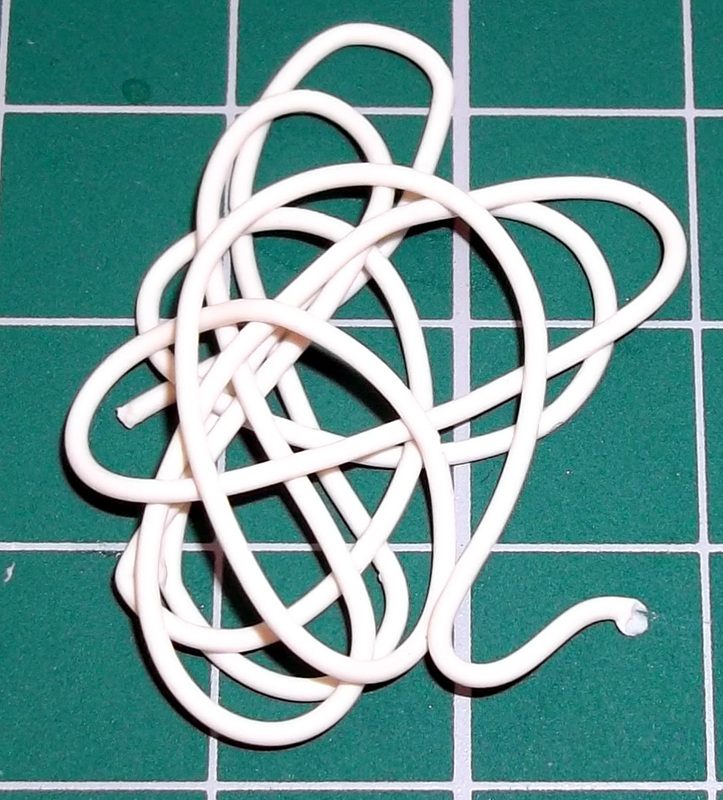 If you use anything with an absorbing surface (like paper, card or baking paper) the part will warp. 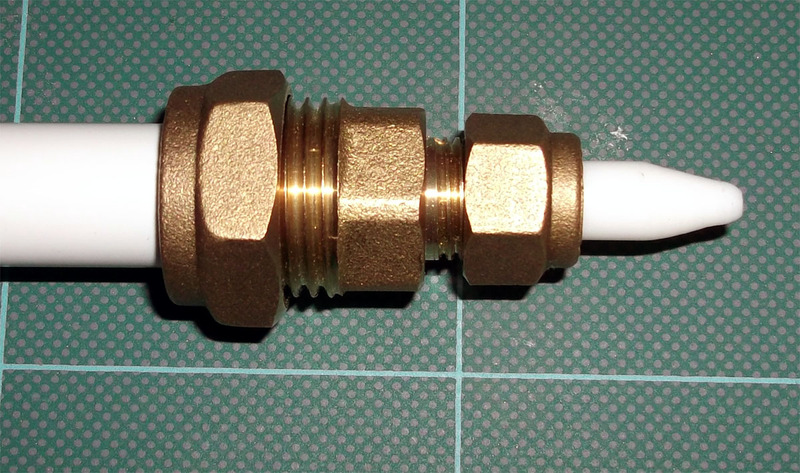 I have tried both Blue and pink nozzles (0.6mm and 0.4mm) with a 0.2mm one to try next time. The easiest way to load the clay is to push it down the syringe with a small spatula or spoon, if you keep on pushing it down any air gaps should be forced out. Put the plunger in and the clay can sit in there for many hours just fine. 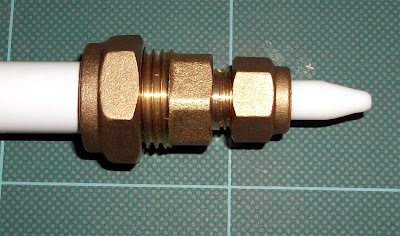 You get a 0.65mm bead out a pink nozzle. 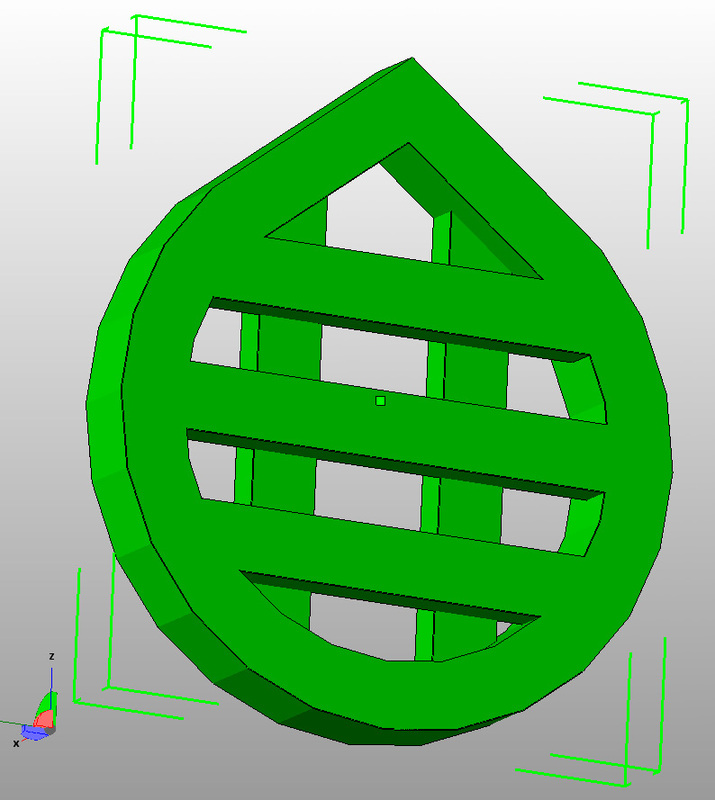 I needed to tweak the Slic3r settings a little to get correct infill, I'm making them just slightly overstuffed as you get a little shrinking when the clay dries and this seems to help keep the objects together. Single wall, it's quite amazing to see it build up, don't touch it, they are extremely fragile while wet. Same pot, scaled up, builds well. Second layer - tiny frog print. 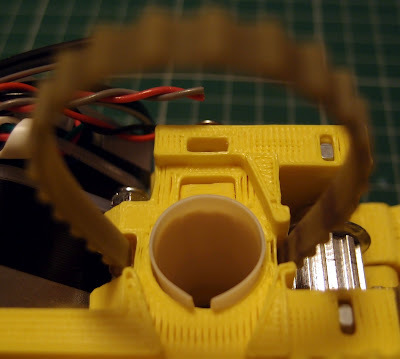 Check out the video, it gives a much better feel for the print than pictures alone. Bonus points if you guess which version of the bunny this it? Yes I stopped it just before the ears, the clay was too wet to attempt them. 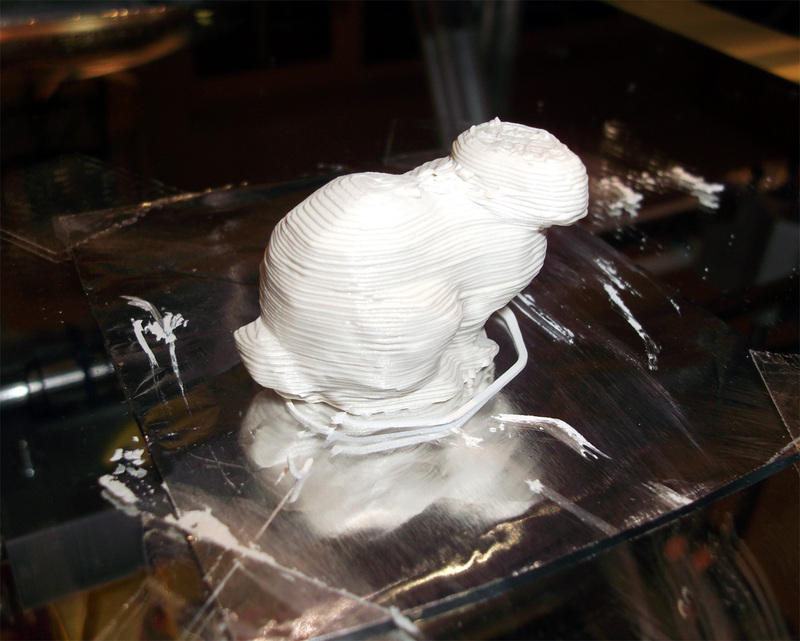 I printed a few more bunnies, pots and frogs, they dry nicely on the aluminium foil, leave them in a cool place to dry out. I hope to get some first fired next week to see how they hold up at high temperature. I had a few accidents where the pots flopped over as I was taking them off the bed, you need to be gentle in handling wet clay, after just a few hours they are quite firm. I will be doing a lot more experimentation with clays, this was one of the most exciting tests for the universal paste extruder so far. 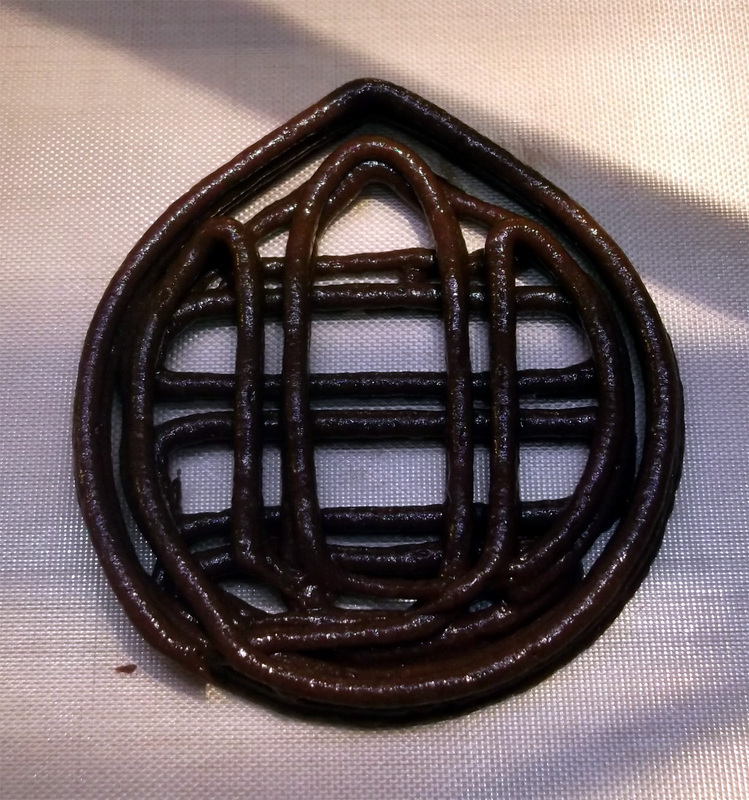 Just after I had my universal paste extruder running, a rather interesting Chocolate extruder also popped up on thingiverse, Created by ttsalo I have yet to try it as it needs warm air to keep the chocolate molten, but I'm going to try this out at some point. I can imagine a dedicated DIY Chocolate printer based around a design like this. Chocolate was also on the list here. 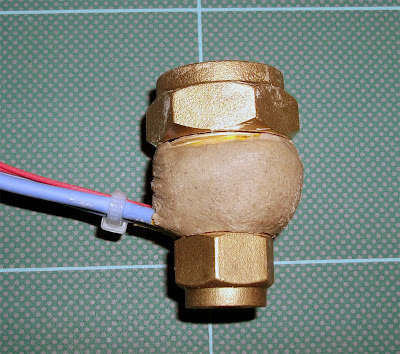 The design is based around simple off-the-shelf plumbing parts and a PTFE nozzle, I used Nichrome wire for the element as I'm heating a round block of Brass and that seemed the easiest way. The heating wire (30cm) is wrapped around the middle section. 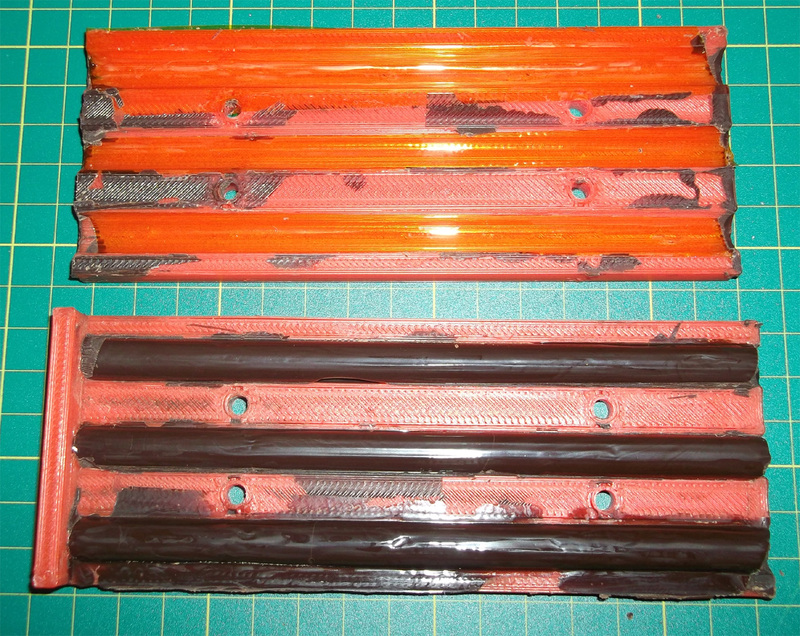 Along with a Thermistor then wrapped in Kapton and covered in Fire Cement. Nozzle is 0.8mm and the inside is stepped from 6mm down. 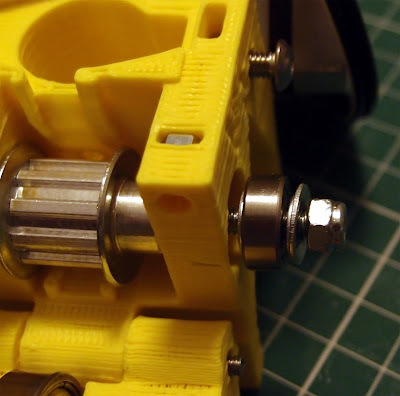 The intention for this design is to fit into the same universal paste extruder body as above, but I actually did this design before doing the paste extruder design above, so here below are a few ways (NOT) to design an extruder! This was fun, but mechanically didn't work very well at all. (the hot/warm end worked fine). 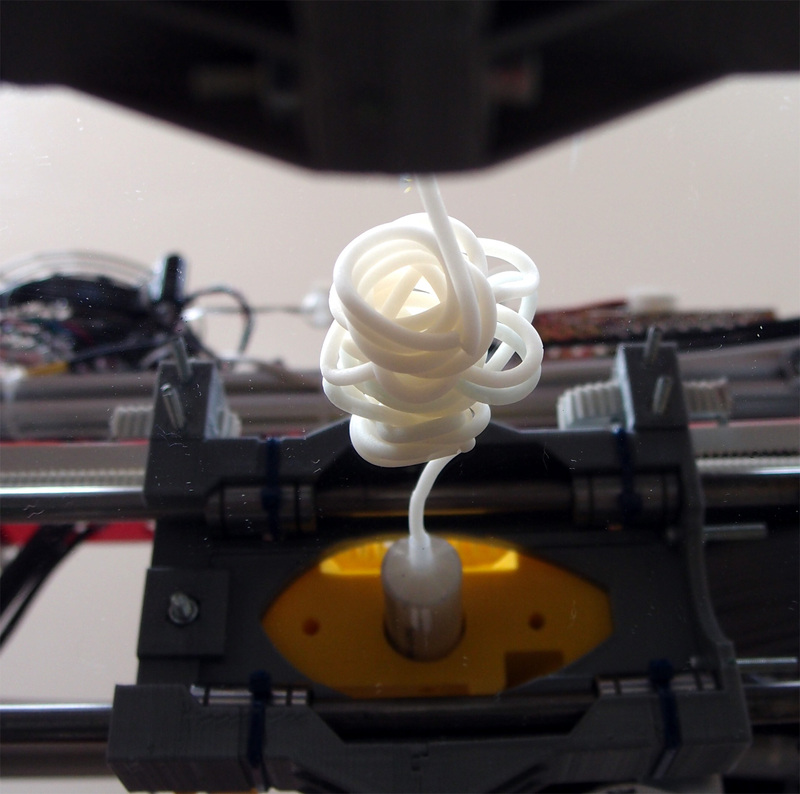 It proved the point that a heated extruder can work with things other than plastic. For my design I needed round cast Chocolate sticks, this makes it very easy to calibrate your extruder and volume for slicing models in much the same way you use 3mm or 1.75mm plastic feedstock. 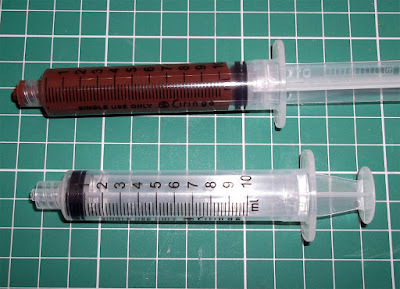 I didn't find any easy sources of 8mm chocolate sticks so I cast some in PFTE tubes, the same size as I had used on the extruder. 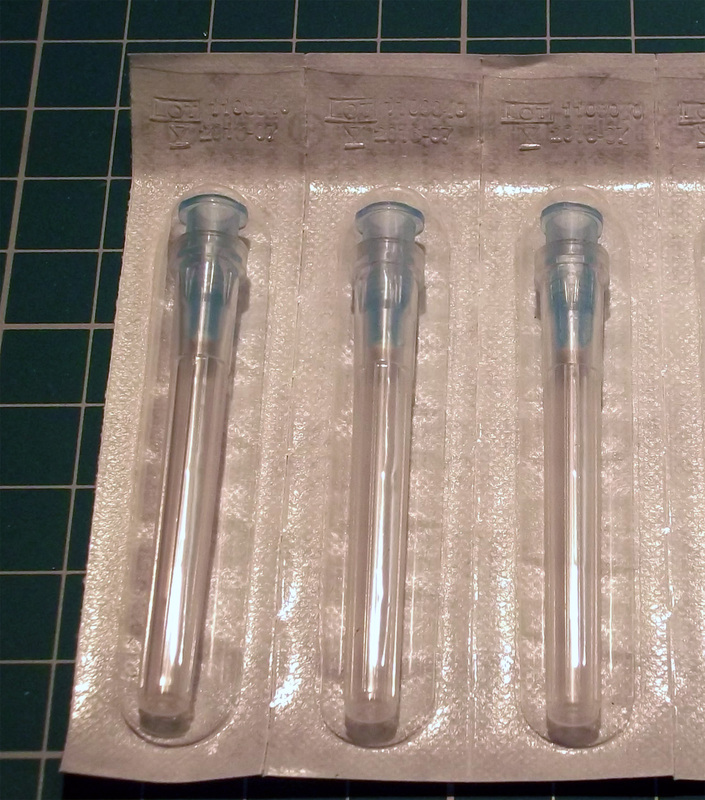 Melt and pour into the tubes, tap down to remove air bubbles and set in freezer. We have some Chocolate feedstock ! I decided to cast them in a two part tray next time, it was actually quite difficult to get them out of the PTFE tubes. 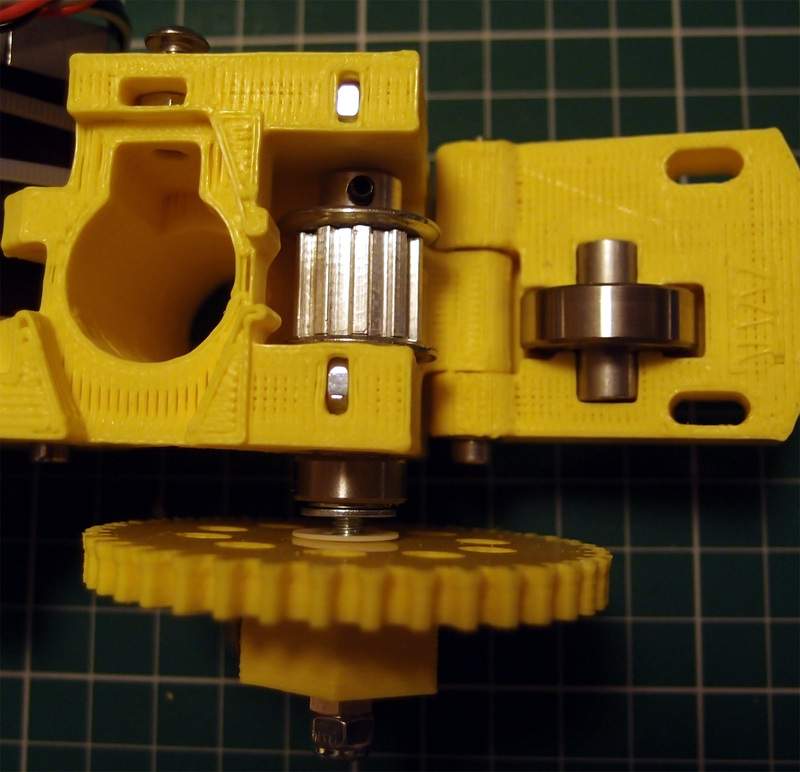 I was attempting to keep the overall height down by using this arrangement, this eventually led me to try a direct drive design (see below) - that was a little bonkers looking back on it, but by this point I was getting much better at 3D modeling! so that was a plus point. 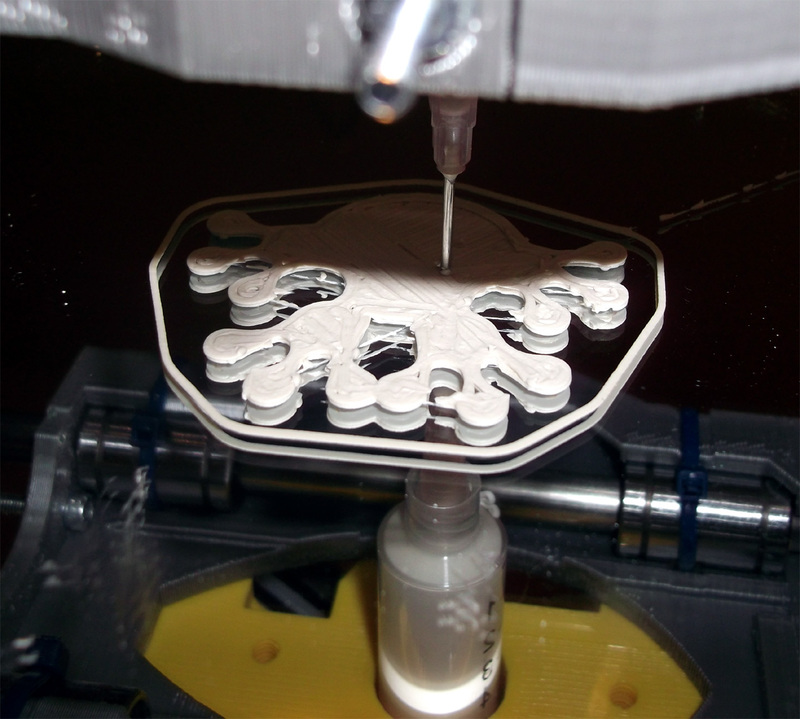 And that led me onto the universal paste extruder design. 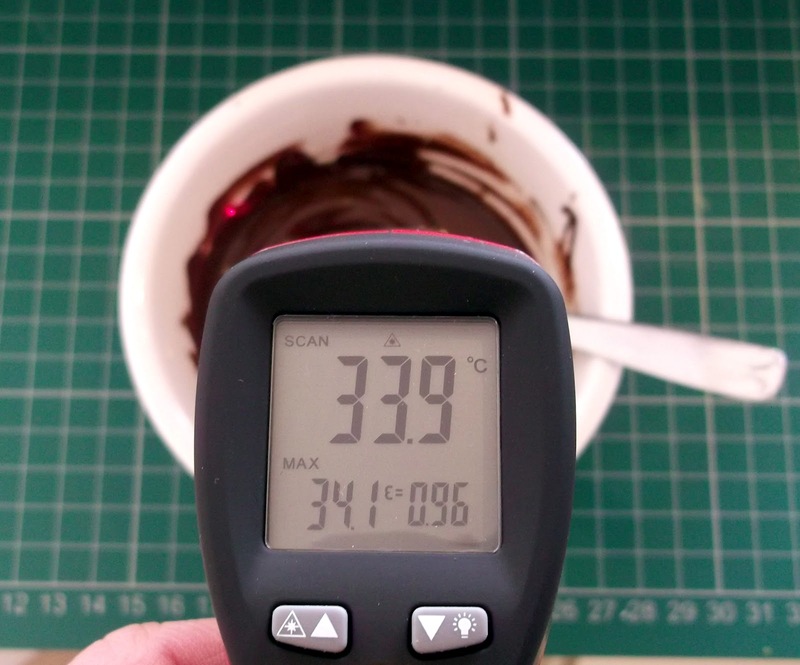 Chocolate melts at whatever temperature if feels like, but 'officially' it should be at around 34 degrees C.
For my first manual test I set the heater to 31 degrees and after warm-up fed in a stick by hand, then using the Nema14 motor. It works! I experimented lowering the temperature, ideally I wanted a just melted, but not runny stream out the end of my nozzle. 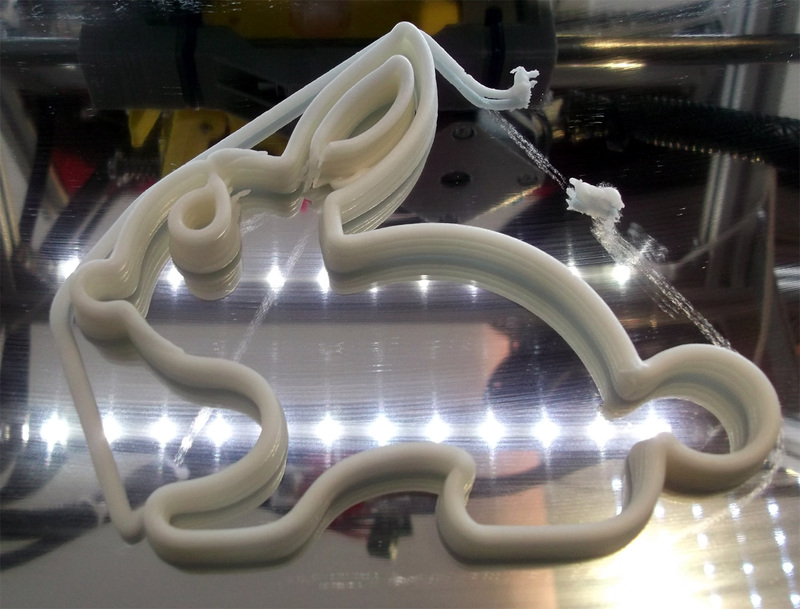 The next problem was to check if the chocolate melts back up the stick, that would get messy and one of the reasons I had a fan on the extruder. I also had a backup plan to add a Thermoelectric cooler (peltier) if needed, I didn't need it. 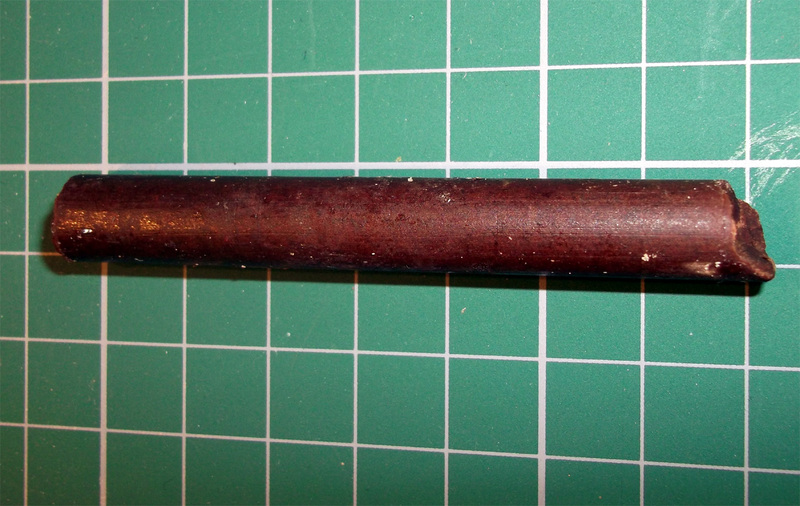 Direct drive of cast chocolate sticks - don't do it this way! The casting worked, but it's too much hassle to do it this way - it was abandoned. 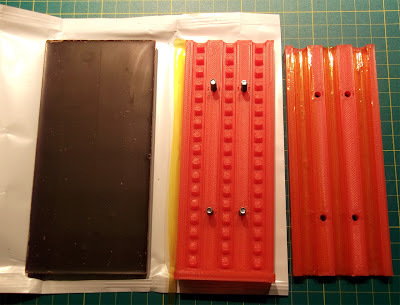 It would have been nice to have a direct drive heated chocolate extruder, you could have fed in stick after stick, but in reality it's just not going to work well. 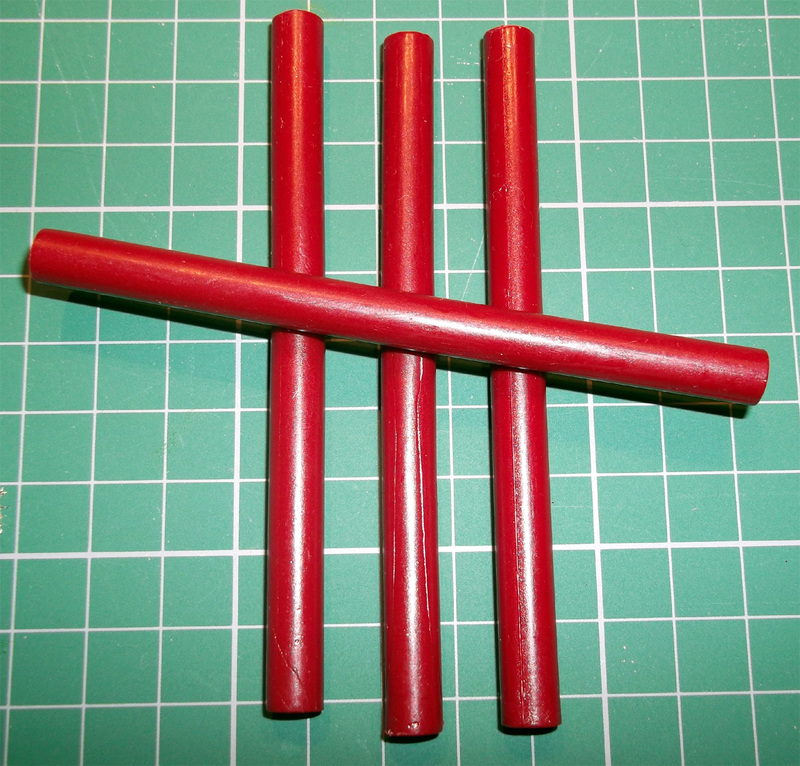 Experiment #2 - Hot Sugar extrusion (sugar rods). One of my big questions is if PLA or ABS will stick to extruded sugar, for the use as a support material in 3D plastic printing. Having Sugar as a Support structure for printing would be very great indeed, and it's super easy to dissolve away and non toxic. I'll let you know how I get on with that. I also still want to see if you can print with sealing wax - for some time now you have been able to buy sealing wax as sticks for low-temperature glue-guns, I order a small pack and as they are also 8mm, they should fit perfectly into my heated adapter for the universal paste extruder. Temperature is lower than sugar, but should work in the same way. 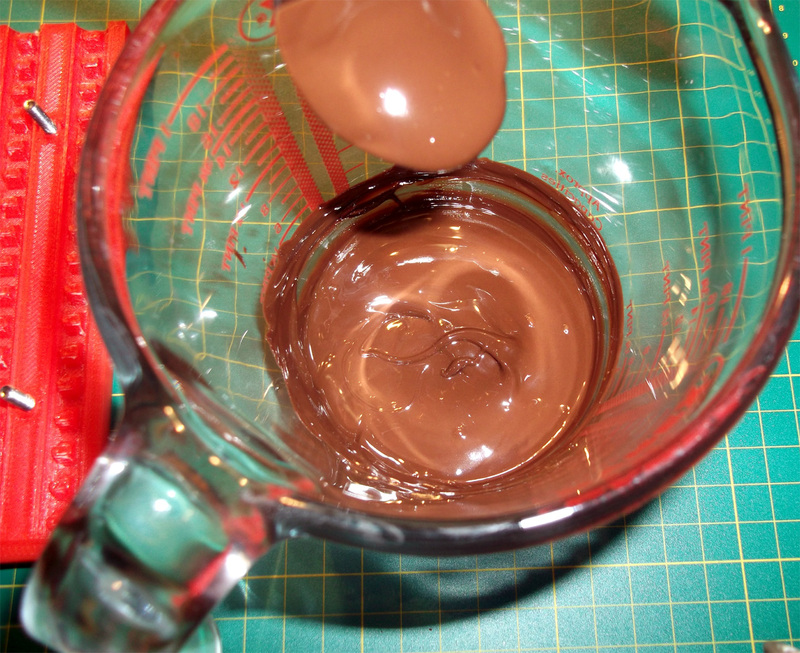 You could print some very interesting things for loss-wax casting or as moulds for things, but like the chocolate it's going to need cooling and a slower extrusion rate if you don't want to end up in a big waxy mess. So what do you think? completely mad, or interesting? The Slic3r configurations are also posted, use them as a starting point. And don't forget to change your Esteps in your firmware. 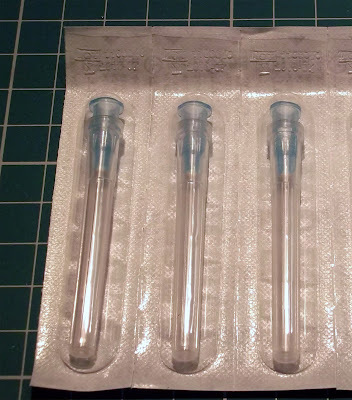 If anyone is interested I can also put up just the set of printed plastic's Syringes and needles as a kit if you want to source the other parts yourself. * - While I was uploading the video's to YouTube, one of the first comments was from films4you suggesting that it could also be used for solder paste, I have no idea why I didn't think of that! - Thanks, another one to try at some point soon I think. Thanks for looking - Have a great Easter break or holiday and let me know what you think. Incredible job - ever since the University of Exeter video this has fascinated and simultaneously annoyed me that there isn't more public information out there on how to accomplish it. 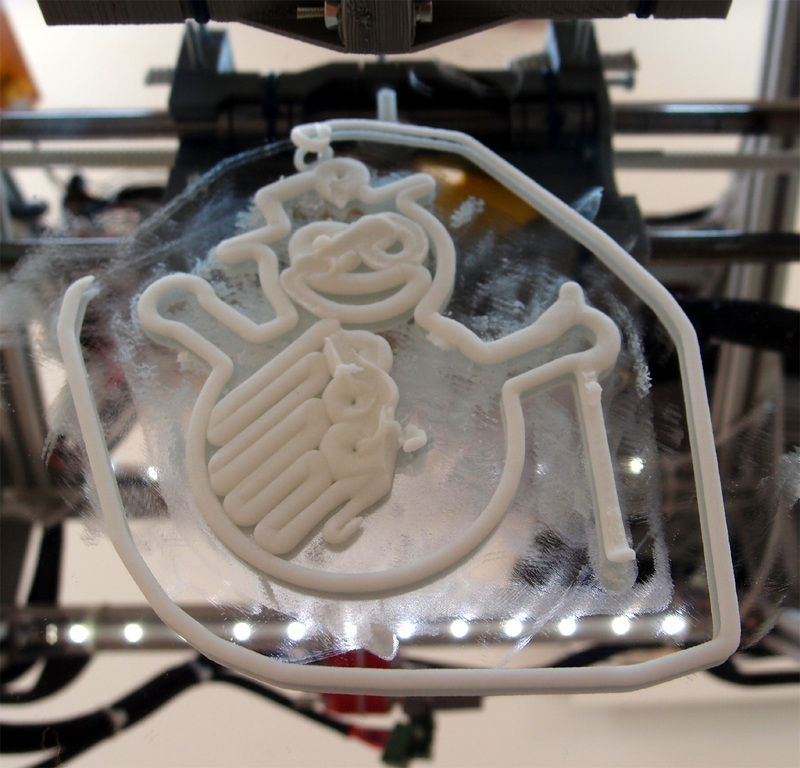 The question I leave with is: can you print cookie dough? As always Rich amazing work. Very interesting read and well documented. Keep up the with the experiementing! Thanks Bob, much appreciated. 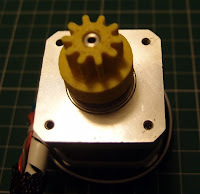 I wish I had more time to pop it up on the RepRap wiki, I'm still struggling with Wiki's. Totally insane!!! Your precision is amazing and your designs are clean. Any success with firing the ceramics? 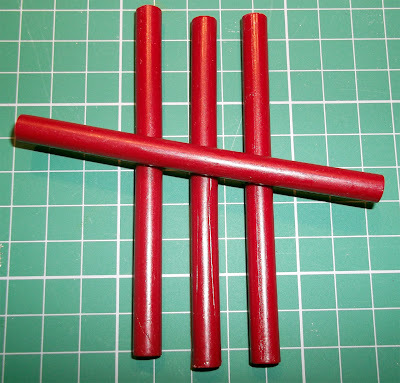 How does the belt push the wax or chocolate sticks into the tube? I did not see any photos of the top of that device. I'm going to get them first fired next week. I'll post if they explode or not! 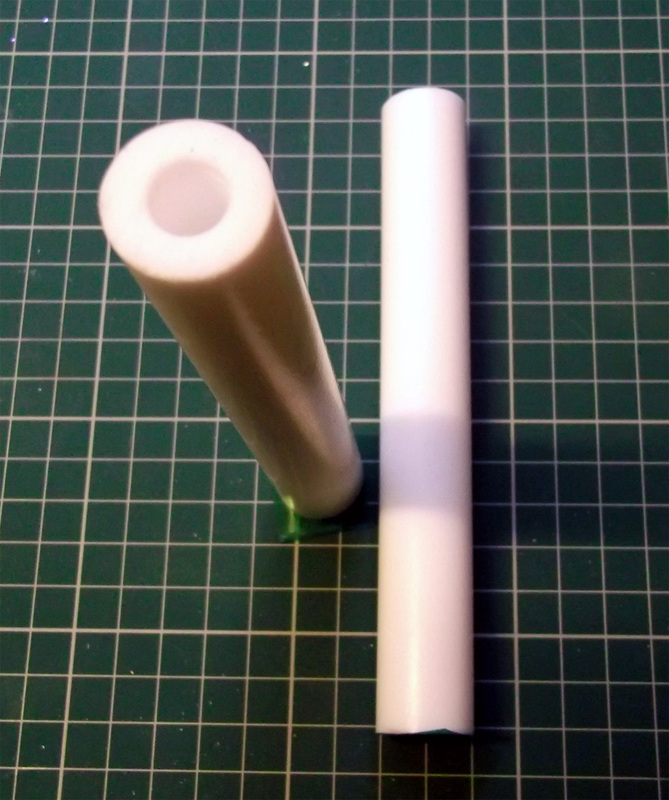 For the new hot-stick design the PTFE tube will have a 6.5mm slot down each side so the belt can just pull the stick straight down, maybe a little PLA cap for the belt to slide on, still working it out. Excellent work Rich! Over the last few weeks I've been printing out various paste extruder designs, but have yet to get one working that I am happy with. I'll look forward to giving yours a try! Hi Gary, thanks, and let me know how you get on with it. I was quite pleased with the level of control you can get from it. I expect you could speed up printing, but I have only gone slow for first testing. 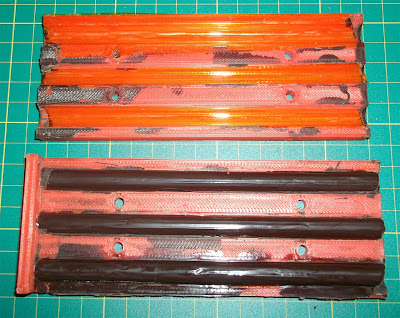 I wanted to sugest the use of Peltier Cells to COOL DOWN the heatbed when printing with this kind of materials. When powered, these cells absorb heat from one side and dissipate it on the other side. You can find them on Ebay for ~4€ each. 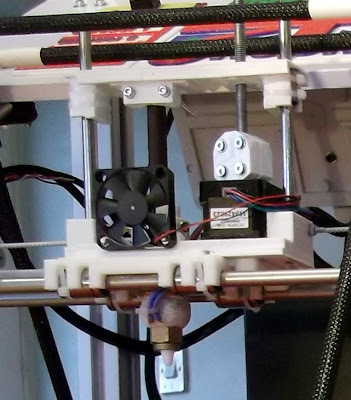 What about using the peatier to cool a heatsink, and then pulling air through it with a fan and directing the flow with tubes to right below the nozzle? Call it chilled air hardening. another option would be using dry ice creatively. The air off dry ice is supercooled, and instead of a hot plume like we get off the typical hot end, you'd have a downward flowing plume of cold air. 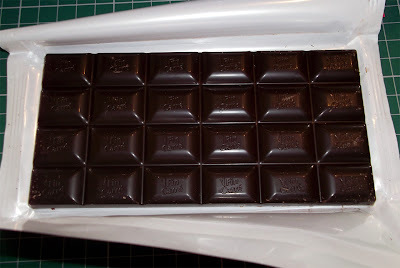 You could use a box or tray of dry ice with some channels and ramps to direct the cold plume onto the printed wax or chocolate. You might not even need a fan. 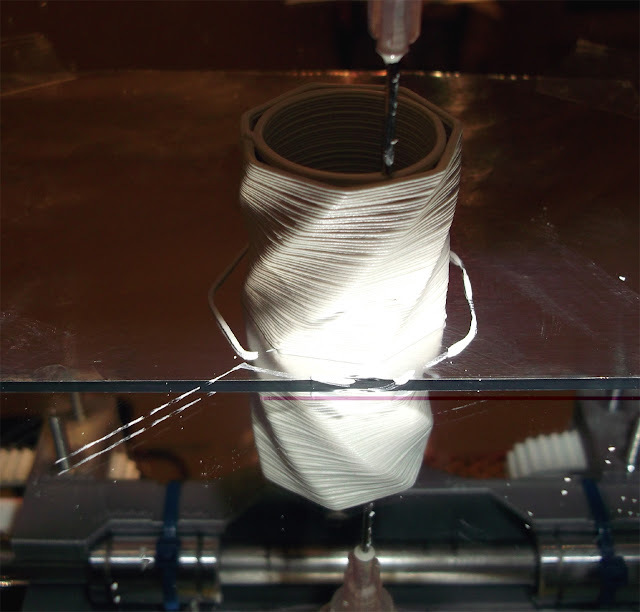 of course, such a rapid temp change might cause headaches with warping, but it might be a fun experiment. great post! So many pictures, which reallyu contribute to the information provided! Chocolate printers can really rock the world of sweet stuff lovers, as I am. Guess, the process of preparing chocolate will transform rapidly! 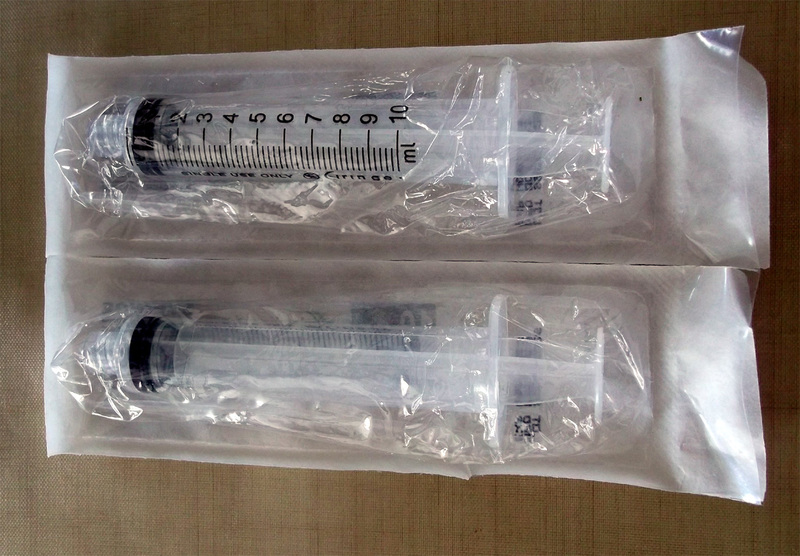 Where do you get the syringes from? Just eBay at the moment. Great work! 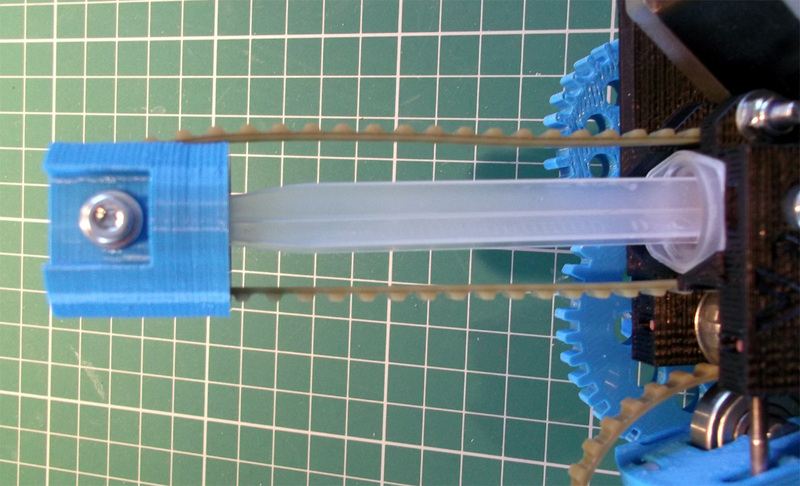 I was messing around with the idea in my mind and came up with a rack and pinion design because it allows retraction, but yours is way easier to build and use. THX! 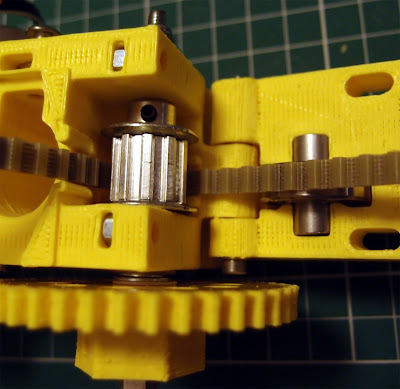 Hi, I had the same thought process, along with screw drive, but the belt design seems to work well and give enough control with the high motor gearing. I look forward to seeing the pics of the ceramic pieces after firing. As another area of artistic experimentation, particularly with the ceramic paste, it would be interesting to try some post extrusion carving/scraping/gouging of the material once it had slightly hardened - probably with a second head. Speaking of which, have you done any measurements of the positioning repeatability of extruders on your quick-change carriage setup? Hi Hamish, I really like the way the clay looks after being 3D printed, but it's very easy to smooth it out after a few hours of hardening, or even when it's dry. I do like the authenticity of the layered build process. It will be interesting to see how much shrink I get after firing if they stay intact. I'm also thinking about that casing for you, send me a design and I'll try printing it. 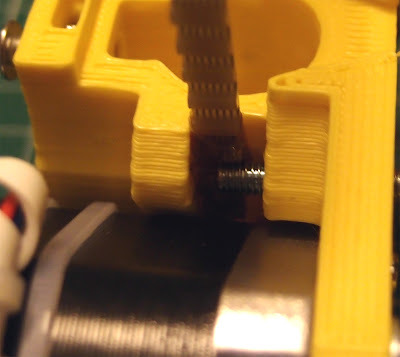 The Quick-fit extruder seems ever as stable as bolting, I have not had a single issue with it. The only real issue is that all extruder's are hand-build, so the Z position is different on every one, we need an automatic Z height detection system now - I'm thinking about using the Brass nozzle to make an electrical connection to a small copper pad on the bed, you could lower (Slowly) until connection is made then step back up for the perfect nozzle height. Thanks Rich, I'll send the next case design iteration after trialling it in PLA. All yours for £2500! No wonder they weren't giving away any operating tips. Maybe it's about time the Beeb technology reporters tuned into the RepRap community. 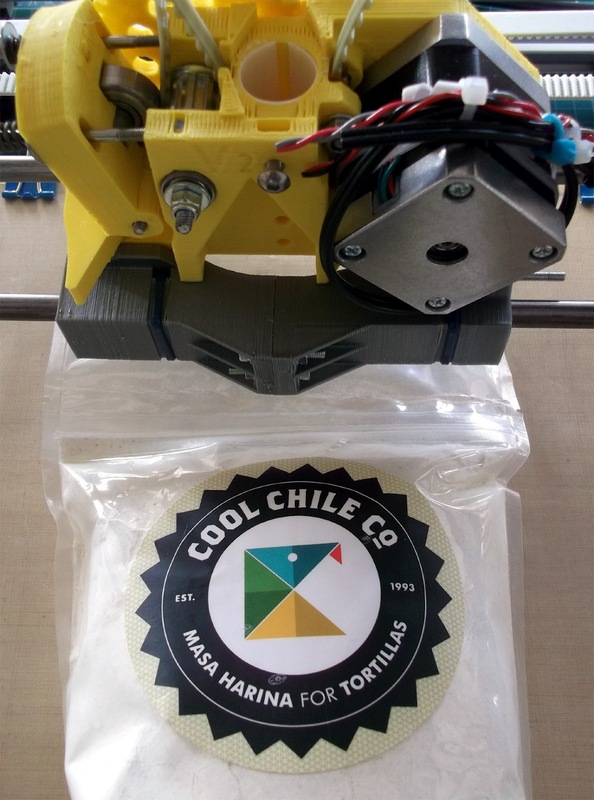 Yes, the commercial chocolate printer looks like it's using RepRap based/style electronics and ReplicatorG for the software so what did they actually make? - a frame and a paste extruder as far as I can see. I wonder it they are using any other open-source technology for this venture? 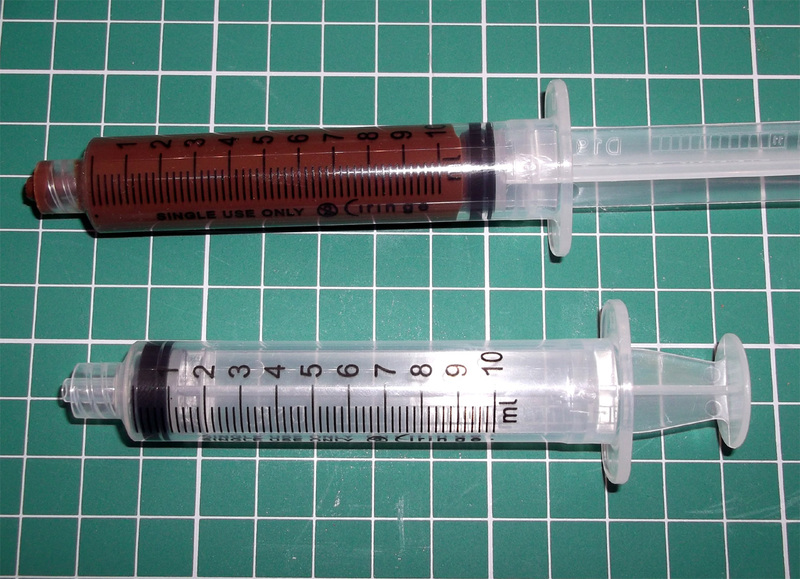 I did some chocolate/paste printing as well with a own developed syringe extruder. 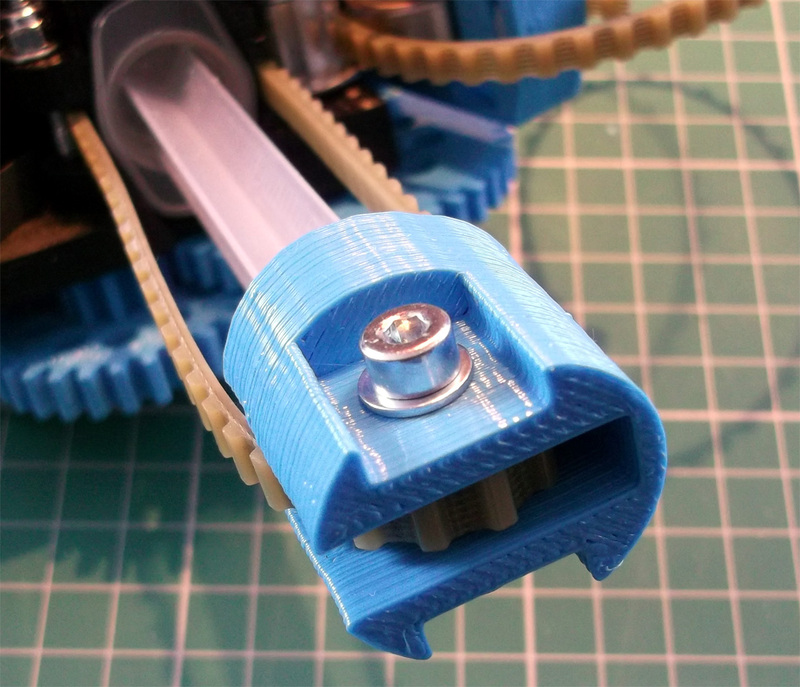 The extruder is direct compatible with every 'bowden' driven extruder. 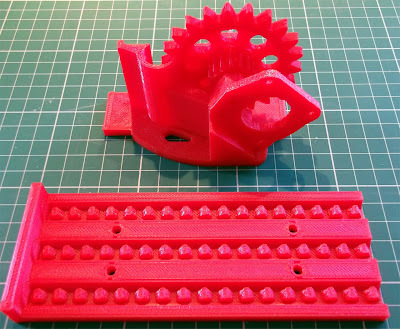 See http://www.thingiverse.com/thing:14421 for pics and details. Last December we printed chocolate letters [a dutch tradition] with Sinterklaas [another dutch tradition]. I really like the very complete documentation...! is there a complete list o parts somewhere? 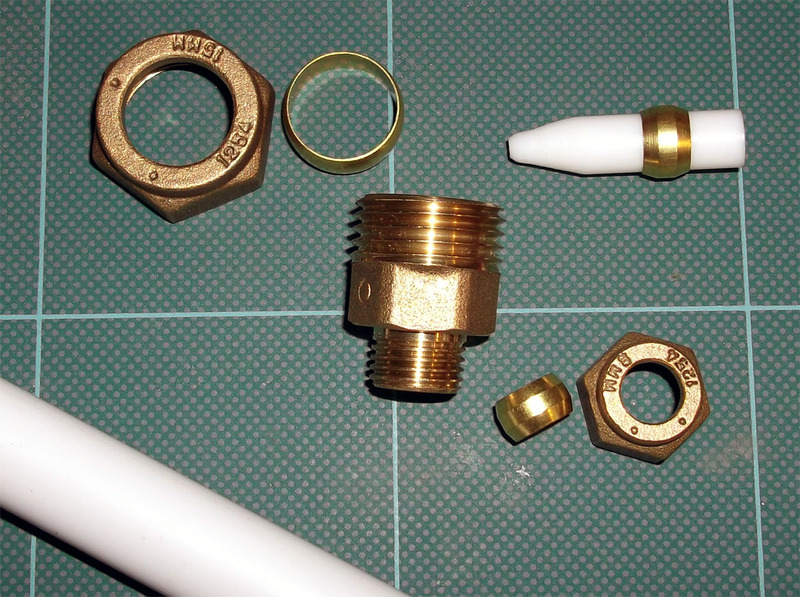 I wasn't able to find the list of fasteners and other metal parts just the list of printed parts. 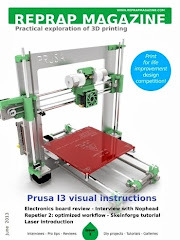 how to work with clay and wax that kind of printer? have to use the pontera heated? does anyone sell chocolate extruder??? Need it on my project... Thanks! Printing is an art and 3 D printing requires some special kind of skill in a person who do such an interesting and artistic kind of job. But I am not quite familiar with the mechanical part. 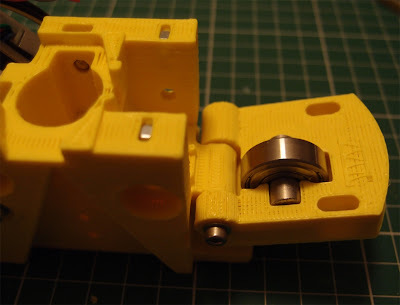 So could you please tell me where I can buy these metal components such as bearing, bolt? And what is the proper dimensions or specific models of them? Sorry for the fundamental question. Have you always wondered how clay pots, vases and other ceramics are made? 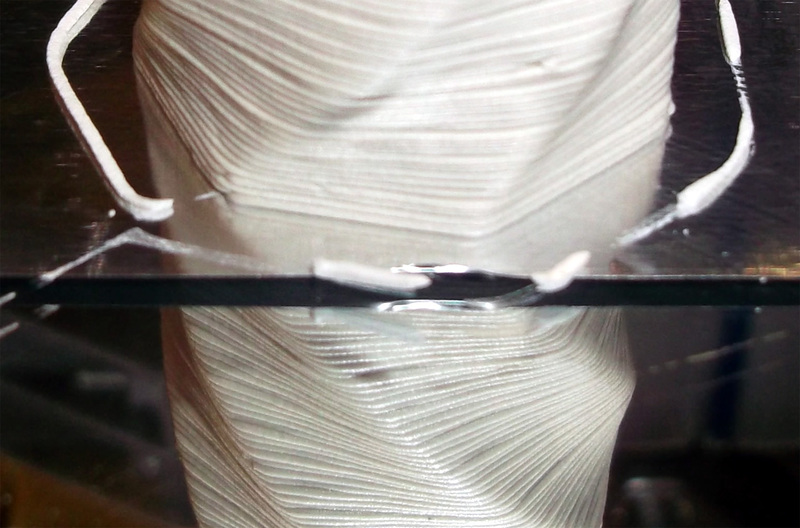 Are you curious as to what processes and tools are involved in the whole creation process? 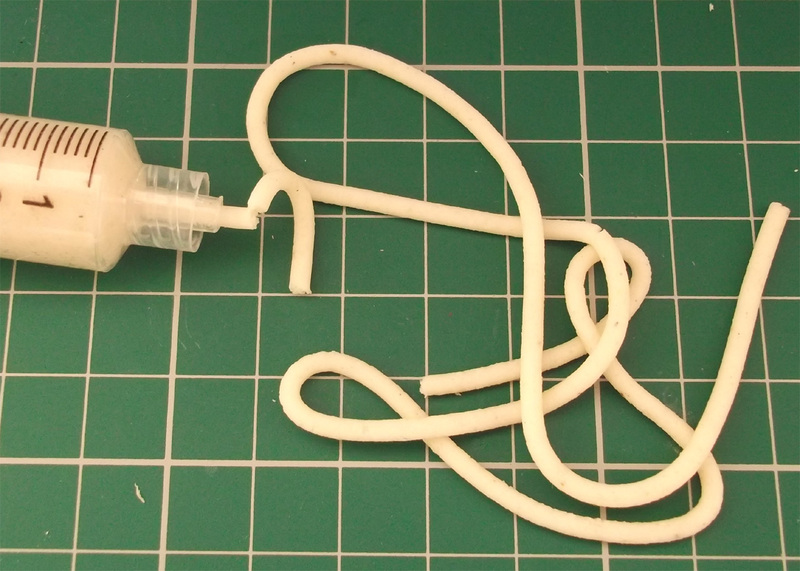 Let me start by introducing you to clay extruders. 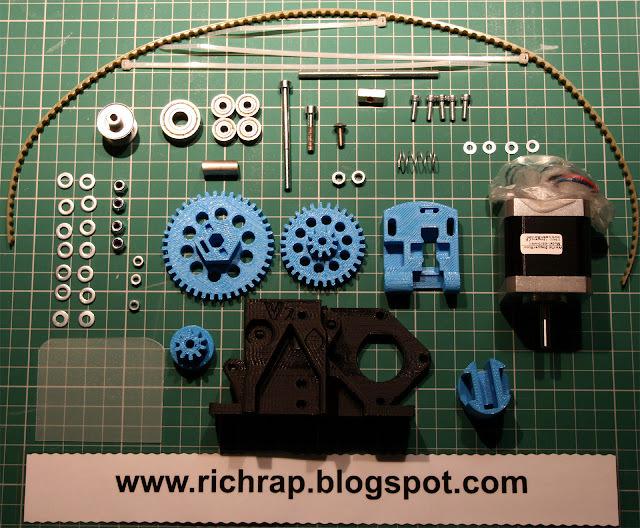 Are the files for printed parts available for download, Rich? I am very interested in paste extrusion but recovering from major bladder cancer surgery and two lots of aneasthesia my brain is not yet capable of much and just putting my printer to work on this to get the parts ready could work while, I hope!) I get myself mentally straightend out. Please disregard my last, post, Rich. I have found the files. Just not thinking straight. Compliments on all the very fine work you have done on this project. Quite remarkable! 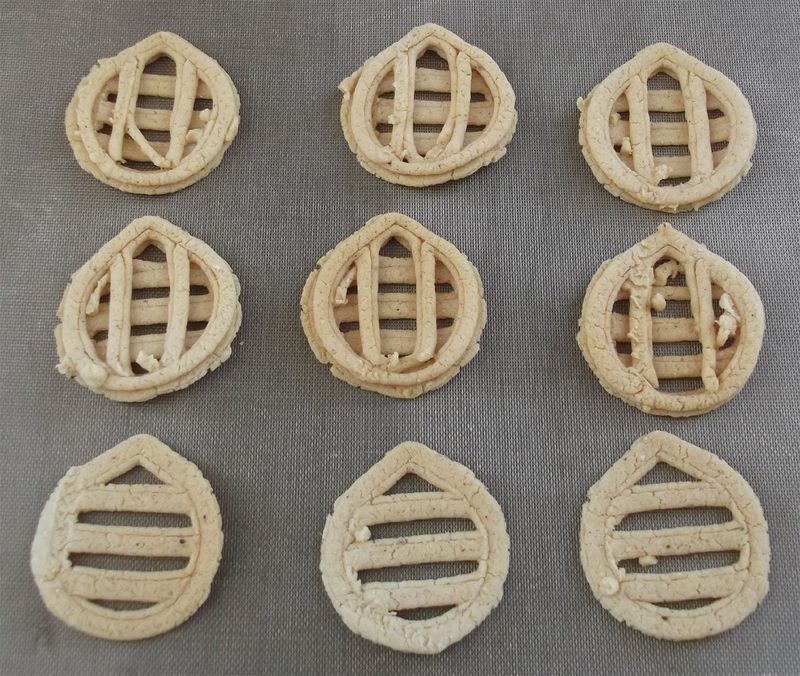 Hi Rich - really interested in a working model of UPE for an art project - do you ever make them for sale? 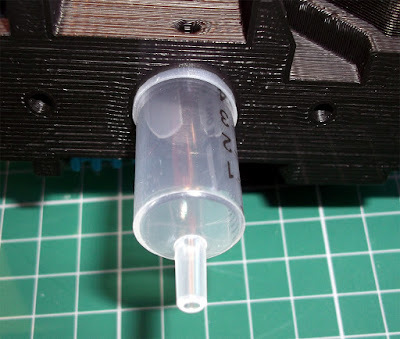 I'm currently working on a project to build a 3D food printer and at the moment I'm testing paste extrusion with a screw thread plunger type design with syringes. However, I'm having problems with ooze out of the syringe nozzle after the motor stops driving the screw thread. I saw that on your design there doesn't seem to be any ooze during operation. How did you manage to prevent it? where can I find the design/templates to download your paste extruder? 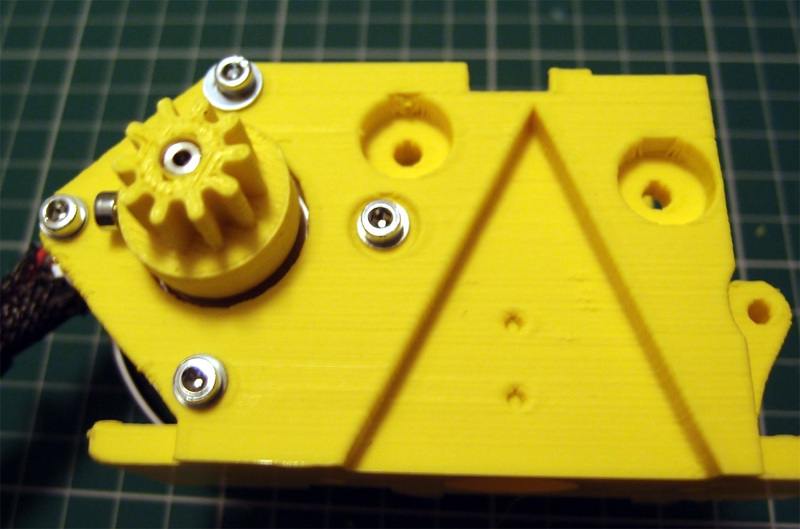 Also, how can I mount/wire/software control it on a 3 ways extruder Mendel? And how can I use it to print something with a second extruder with PLA? Anyway, any help woul dbe great, the basic/step by step th ebetter, I am not an expert user. It is extremely interesting for me to read the article. I like such topics and everything connected to them. I would like to read a bit more on that blog soon. 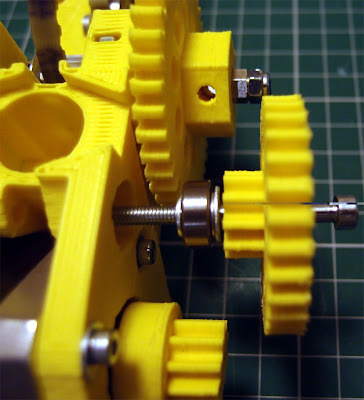 I wonder if it is possible to combine pla (or abs) and wax. 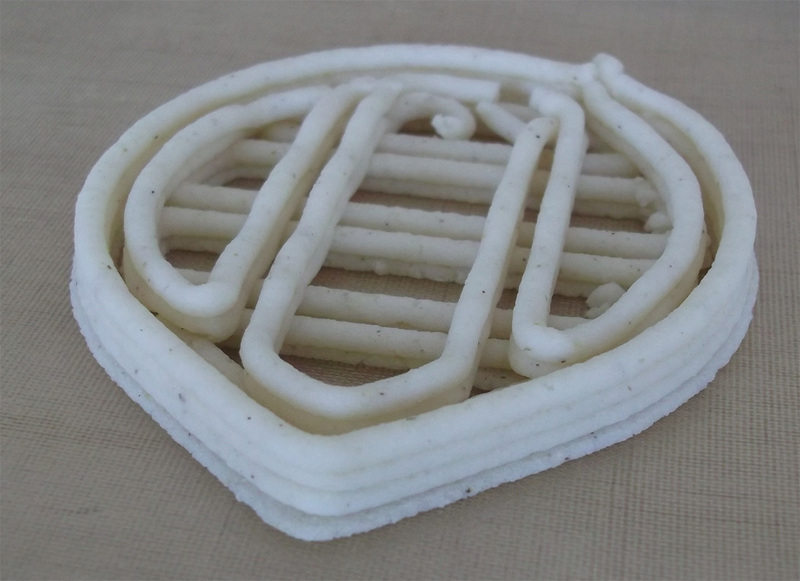 Does the wax stick to the pla (or abs)? I would use wax to connect supporting structures to the object to be build. 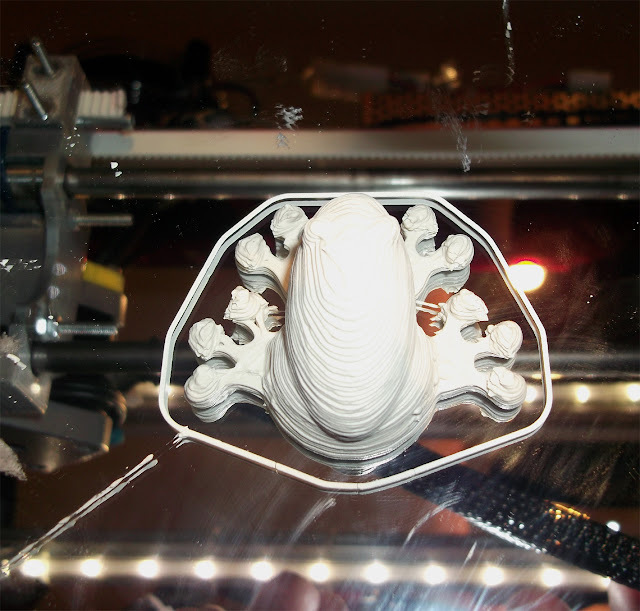 That way it would be much easier to remove the supporting structures when the object is printed. 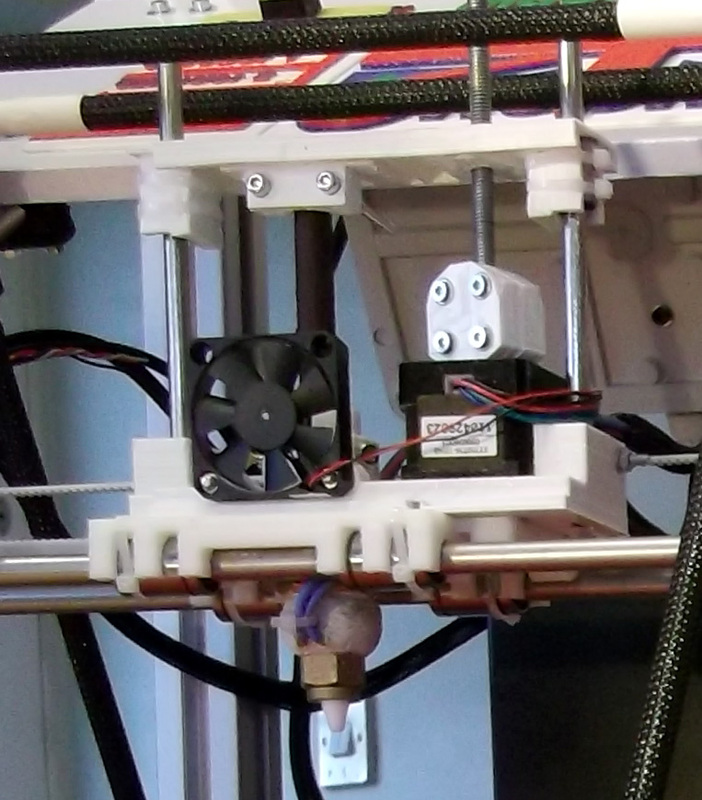 BTW: Are there repraps with 2 printing heads? hello ! Thanks a lot for a wonderful tutorial. 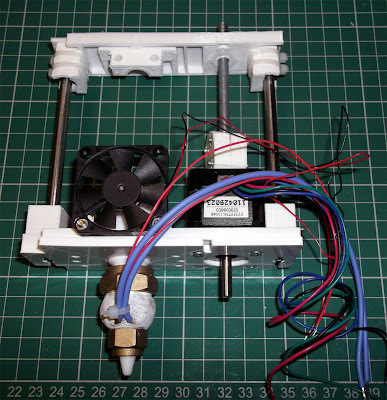 I d like to rebuild my rep rap prusa extruder to the paste extruder one. However I am not veeery experienced in building 3D printers. Could I find an exact list of all the non printed components somewhere? I need to know what to buy but unfortunately I don t know the name of all those parts....I d be very grateful to anybody who s able to help me out with this :-) thanks ! Technology has developed to the purpose wherever we tend to square measure rethinking business. Consecutive age is gap up producing to the complete world – wherever everybody will participate within the method. This group action plan won't be a lot of completely different than the journey computers had – from a number of, big, centralized mainframes to one thing we tend to currently hold in our hands. I like totally and agree. And I think that in order to be comfortable with your style is to wear it more often. Thanks for sharing such kind of nice and wonderful information. 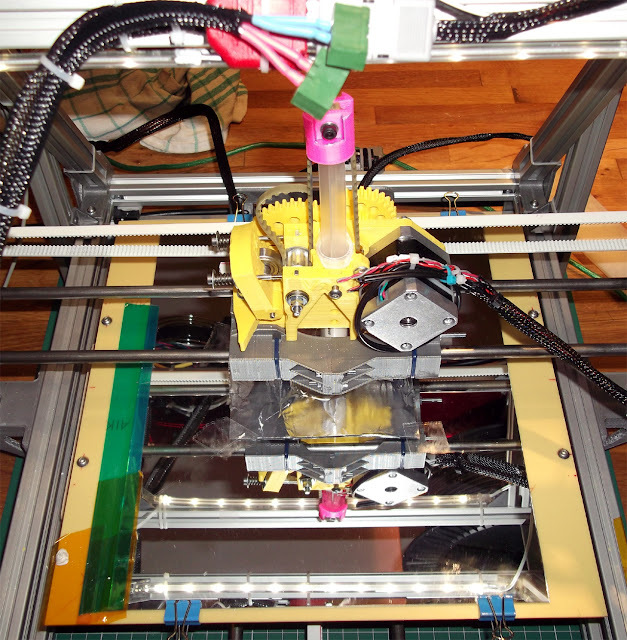 Click here Best 3D printer manufacturer company in China.